Anne from Stems is one of my all time favorite creative friends. Everything she touches makes my heart sing, she is so so talented. We met through the wedding industry a few years ago and became fast friends; we both enjoy setting a beautiful table and collaborate A LOT. I have been lucky enough to have her to our family home in France where we were able to “play” and she is the person I run my creative ideas by. 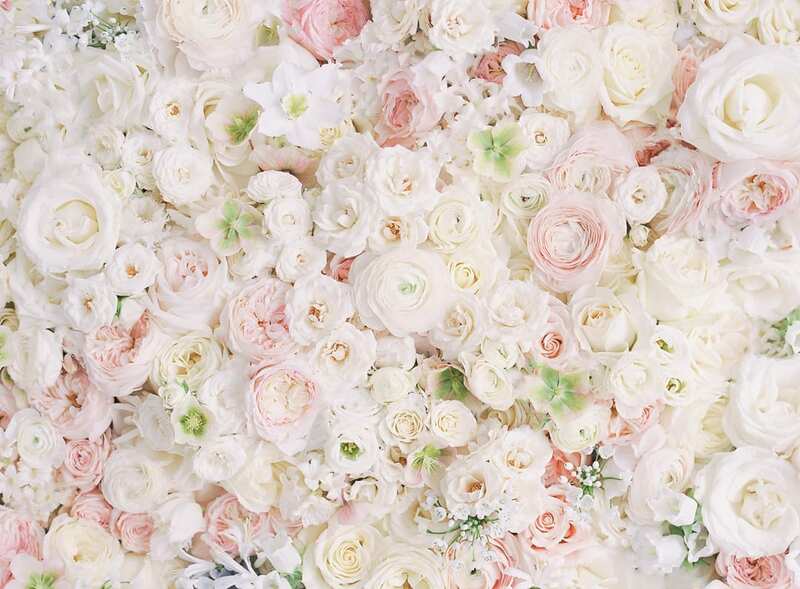 Yesterday, we launched a fine art series of neutral flowers together. She was in town last week and I asked her to give us a quick tutorial arranging flowers, which of course we had to set an impromptu table around! I love these pottery barn plates, I have used them several times. 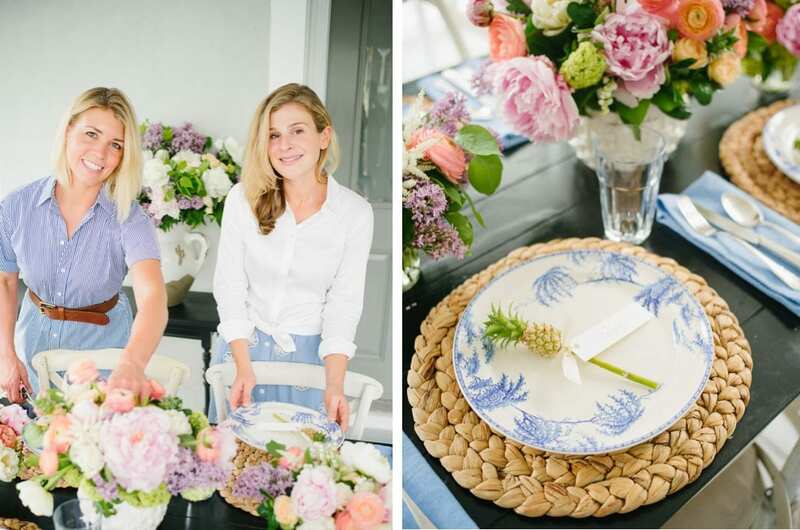 They fit particularly well for this table because Anne picked up mini pineapples and together, they set a tropical vibe. Anne tied the name card of each guest to the pineapples which I think is such a fresh, fun idea. She always manages to do something slightly unexpected when arranging flowers. Prep a clean container with a ball of chicken wire, bent so that it touches the edges (it won’t move around that way). Start with bushier textures to fill the base of the arrangement. 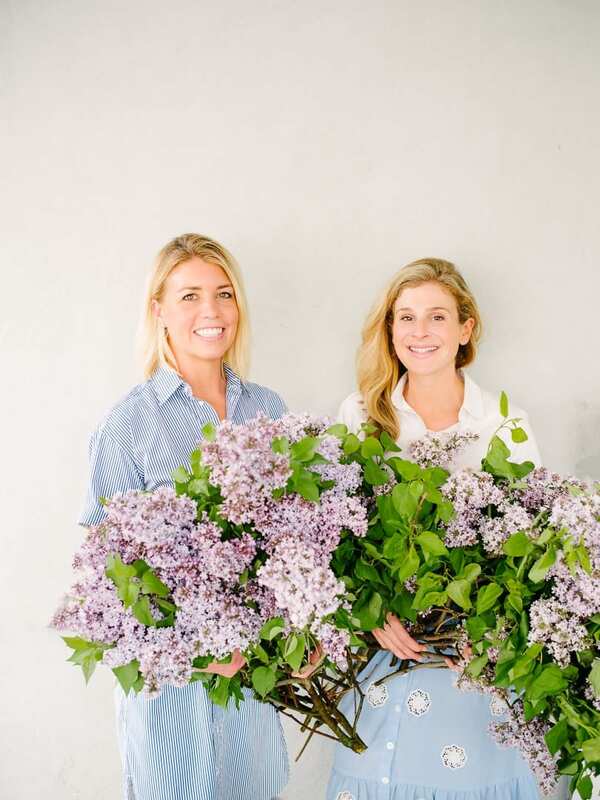 This time of year you can’t beat the seasonal flowers that are available, so we took advantage and used Lilac, Viburnum, and Pittosporum greenery to fill in our base. 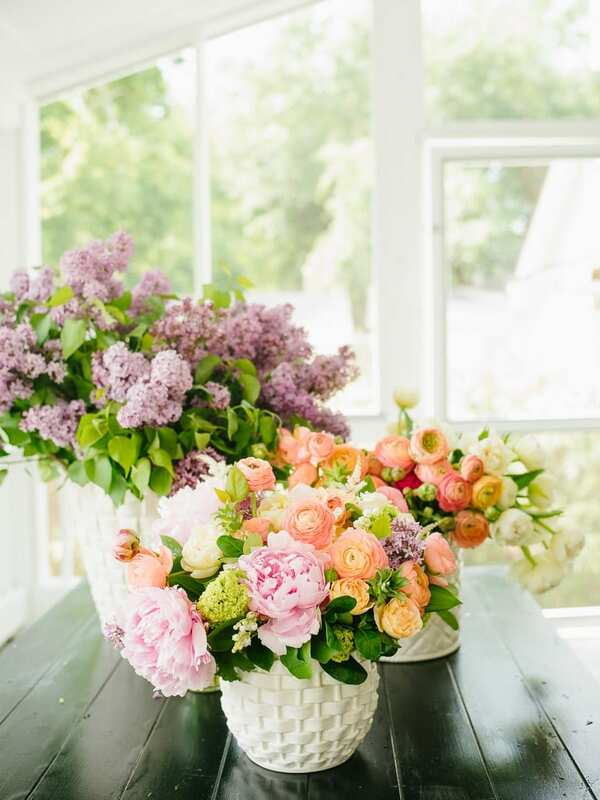 Add local flowers, Peonies, Garden Spray Roses, Double Tulips, and Ranunculus. Since I chose a (very) wide range of colors, I was very careful about placement of flowers. We had a few ranunculus stems that had more yellow in them and clashed with the purple lilac, so I made sure we used those on the opposite side of the arrangement. It is easiest to start out leaving the stems longer, you can always shorten if they’re too long and that way they won’t disappear/slide too far into the vase! 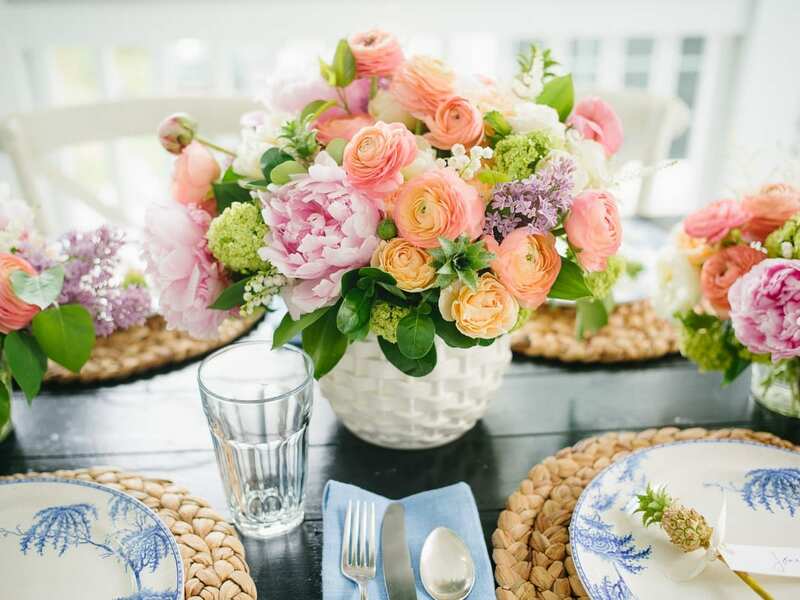 Make sure to keep the arrangement short enough to have a conversation over if you are using it as a centerpiece. Finally, we added smaller pieces that we wanted on the outer layer of the arrangement so they would get noticed and appreciated. We used Lily of the Valley, a seasonal treat, and mini pineapples which were a bit random but added a variety in texture. The Lily of the Valley should be clumped together because it is so fragile and so it will show up better. 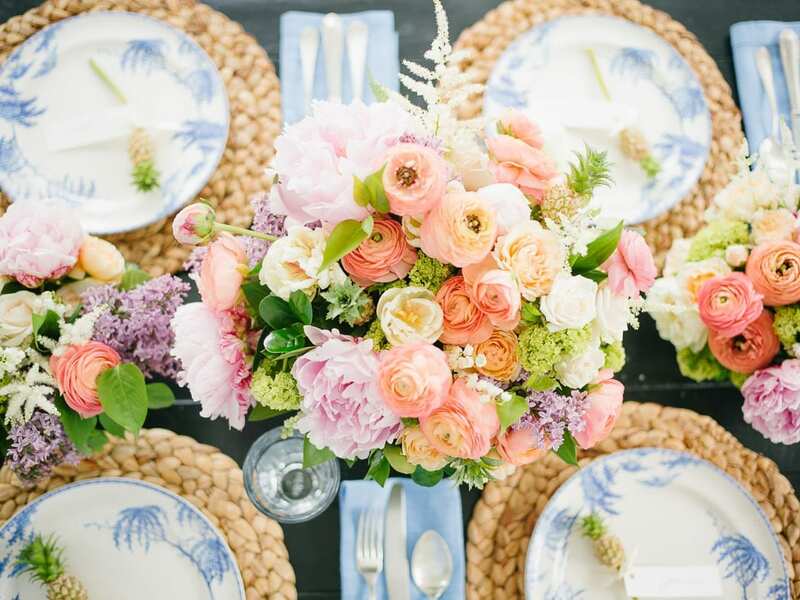 When you’re finished, make sure your flowers have plenty of fresh water to drink and set an amazing table around them for your guests to enjoy! Those flowers are insane! Such a beautiful post! !